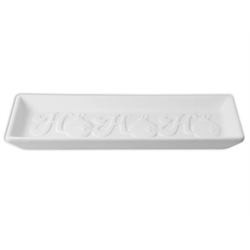 Your customers will have a jolly time painting this ceramic HoHoHo Serving Dish! Break out those classic Christmas colors, paint, and have fun! This piece is definitely Santa approved!